Ioannis E. Bitzos, M.D., F.A.C.S. Dr. Bitzos is an American-Certified Plastic Surgeon specializing in Cosmetic Surgery of the face, breast and body. Dr. Bitzos was raised in New York and was educated at leading academic medical institutions of the United States. His surgical training started at Tufts Medical School’s Western campus and was completed at the University of Illinois College of Medicine at Chicago, UMDNJ-Rutgers and Columbia University in New York. He became fully trained in General Surgery and then fully trained in Plastic, Aesthetic & Reconstructive Surgery. During his higher training in both specialties he served as the Chief Resident of all trainees. His Aesthetic Surgery training was done in New York by world-leading experts in the field. After he completed his training he worked academically as a Clinical Instructor teaching reconstructive surgery while running a busy aesthetic private practice in the New York metropolitan area. 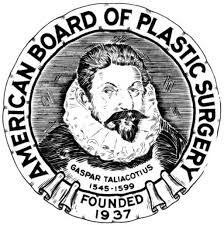 Dr. Bitzos has published in peer-reviewed medical journals such as the Annals of Plastic Surgery and has presented at meetings like the American College of Surgeons Convention. He is regularly invited for presentations in Europe and overseas and over the years has received notable honors and scientific awards. Dr Bitzos performs cosmetic surgical procedures in select private Hospitals in Athens.